If you love binge watching the latest comedies or sci-fi tv shows and movies, this post is for you. Watching TV and movies is probably one of the most favorite ways to pass time for many, but did you know you can make money from it? 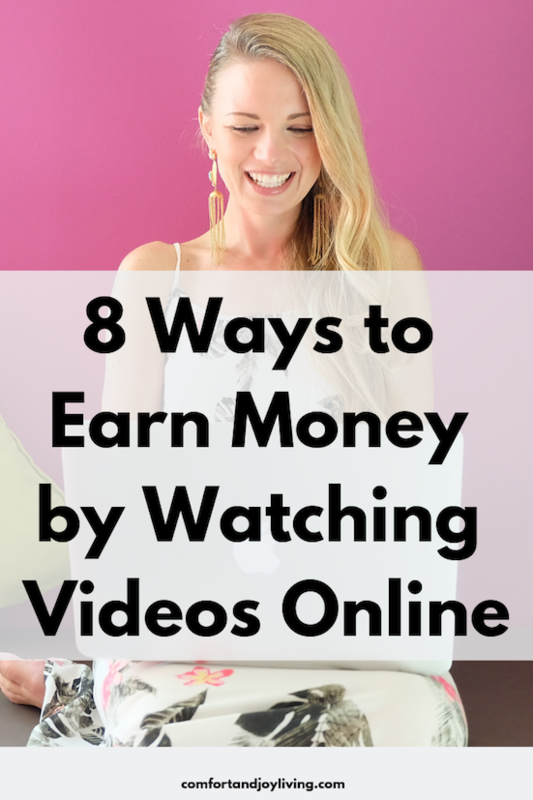 It may sound too good to be true, but it’s possible to earn extra money watching videos. Here are 8 sites that allow you to earn cash and gift cards for watching your favorite TV shows and movies. An easy way to earn extra cash is by watching videos on Swagbucks. There are a lot of ways to make money with Swagbucks, but watching videos is one of the best ways to make a passive income. They even give you Free $5 when you sign up with them. If you enjoy watching children’s television and movies, then the Netflix Tagger job may be for you. So, what does a tagger do? Taggers watch shows and movies, and categories based on the program’s characteristics. This helps Netflix suggest additional programs to their users based on their viewing history. The work is usually 15 hours per week. You can earn cash or gift cards just for watching your favorite TV shows and movies on Perk TV. They have several kinds of videos, ranging from entertainment to how-to’s and educational. You can watch videos on your desktop or even on your phone so you can watch them when you’re out and about and still earn money! With Viggle, you can get paid to watch your favorite TV shows and to listen to music. You earn points for the time that you spend watching or listening, and you can redeem those points for cash, gift cards, and music downloads. App trailers show demos of product or service apps in a variety of categories such as shopping, traveling, gaming to finance. What App Trailers does is show users the trailers of other apps to reach out to a larger audience. You can earn points and redeem them for gift cards or cash. Inbox Dollars is one of the most popular rewards programs out there and they also give you some great options to watch videos or ads to make money. There are other ways that you can make money with this company, but again, watching videos is an easy way for you to make some passive income. Plus, you get an instant $10 bonus when you sign up. This site provides a couple of ways to earn gift cards or cash through Paypal by watching TV or videos on their website. There are other ways to earn including taking surveys, downloading apps and playing games. As a captioner, you’ll watch videos, listen to what is being said, and type out what the speakers are saying or identify sounds like audience applause or background music. When you’ve completed watching the video, you’ll sync the captions with the video so that they show up on the screen at the right times. And, no prior experience is necessary for this role.